Traders, eligible for trader tax status, should consider attaching a 2018 Section 475 election statement to their 2017 tax return or extension due by April 17, 2018, for individuals, or by March 15 for partnerships and S-Corps. Section 475 turns capital gains and losses into ordinary gains and losses thereby avoiding the capital loss limitation and wash sale loss adjustments (tax loss insurance). There are benefits to 475 income, too. The most significant problem for investors and traders occurs when they’re unable to deduct trading losses on tax returns, significantly increasing tax bills or missing opportunities for tax refunds. Investors are stuck with this problem, but business traders with trader tax status (TTS) can avoid it by filing timely elections for business ordinary tax-loss treatment: Section 475 mark-to-market (MTM) for securities and/or commodities. By default, securities and Section 1256 investors are stuck with capital-loss treatment, meaning they’re limited to a $3,000 net capital loss against ordinary income. The problem is that their trading losses may be much higher and not used as a tax deduction in the current tax year. Capital losses first offset capital gains in full without restriction. After the $3,000 loss limitation against other income is applied, the rest is carried over to the following tax years. Many traders wind up with little money to trade and unused capital losses. It can take a lifetime to use up their capital loss carryovers. What an unfortunate waste! Why not get a tax refund from using Section 475 MTM right away? Business traders qualifying for TTS have the option to elect Section 475 MTM accounting with ordinary gain or loss treatment in a timely fashion. When traders have negative taxable income generated from business losses, Section 475 accounting classifies them as net operating losses (NOLs). Caution: Individual business traders who miss the Section 475 MTM election date (April 15 for the current tax year) can’t claim business ordinary-loss treatment for the current tax year and will be stuck with capital-loss carryovers. A new entity set up after April 15 can deliver Section 475 MTM for the rest of the current tax year on trading losses generated in the entity account if it files an internal Section 475 MTM election within 75 days of inception. This election does not change the character of capital loss treatment on the individual accounts before or after its creation. The entity is meant to be a fix for going forward; it’s not a means to clean up the past problems of capital loss treatment. Ordinary trading losses can offset all types of income (wages, portfolio income, and capital gains) on a joint filing, whereas capital losses only offset capital gains. Plus, business expenses and business ordinary trading losses comprise an NOL, which can be carried back two tax years and/or forward 20 tax years (for 2017). It doesn’t matter if you are a trader or not in a carryback or carryforward year. Business ordinary trading loss treatment is the most significant contributor to federal and state tax refunds for traders. Starting in 2018, the Tax Cuts and Jobs Act repealed the two-year NOL carryback, except for certain farming losses and casualty and disaster insurance companies. NOLs are carried forward indefinitely, and 2018 and subsequent-year NOLs are limited to 80% of taxable income. There are many nuances and misconceptions about Section 475 MTM, and it’s essential to learn the rules. For example, you’re entitled to contemporaneously segregate investment positions that aren’t subject to Section 475 MTM treatment, meaning at year-end, you can defer unrealized gains on adequately segregated investments. You can have the best of both worlds — ordinary tax losses on business trading and deferral with lower long-term capital gains tax rates on segregated investment positions. I recommend electing Section 475 on securities only, to retain lower 60/40 capital gains rates on Section 1256 contracts. Far too many accountants and traders confuse TTS and Section 475; they are two different things, yet very connected. Section 475 MTM reports year-end unrealized gains and losses. Marked-to-market means you must impute sales for all open trading business positions at year-end using year-end prices. Many traders have no open business positions at year-end, anyway. You’re reporting realized and unrealized gains and losses, similar to Section 1256 which has MTM built in by default – but don’t confuse Section 1256 with Section 475. It’s entirely different with Section 1256 contracts where the tax-loss insurance premium is expensive. Electing Section 475 on Section 1256 means you give up the lower Section 1256 60/40 tax rates in exchange for ordinary income rates. There are more nuances to consider as well. I coined the term “tax-loss insurance” for Section 475 because if your trading house burns down, you can deduct Section 475 trading losses right away and get a huge tax break (refund or lower tax bill). It’s a free insurance premium on securities because short-term capital gains use ordinary tax rates in the same manner as Section 475 MTM. But, Section 475 losses might generate immediate tax benefits (insurance recovery) whereas capital losses do not. Securities traders should usually elect Section 475 MTM unless they already have significant capital-loss carryovers. You can’t offset MTM ordinary trading gains with capital-loss carryovers. On the other hand, if a trader generates sizeable new trading losses before April 17, 2018, he or she might prefer to elect Section 475 MTM for 2018 by that sole proprietor election date to have business ordinary-loss treatment retroactive to Jan. 1, 2018. The trader can form a new entity afterward for a “do over” to use capital gains treatment and get back on track with using up capital loss carryovers. Alternatively, the trader can revoke the Section 475 election in the subsequent tax year. Section 1256 contract traders should usually not elect Section 475 to retain the lower 60/40 tax rates. Section 475 would override Section 1256 and subject trading gains to the short-term ordinary tax rate. With Section 1256, 60% of trading gains are considered long-term capital gains — even on day trades — taxed at lower tax rates (up to 20% in 2018), and 40% are short-term capital gains taxed at ordinary tax rates (up to 37% in 2018). The maximum 60/40 blended rate for 2018 is 26.8%, a meaningful 11.2% difference with ordinary rates. There are significant savings throughout the tax brackets. Investors and business traders may elect to carry back Form 6781 trading losses three tax years, but it’s only applied against Section 1256 contract trading gains on Form 6781, not other types of income. If you trade Section 1256 contracts and lose a bundle before the election deadline, you may want to elect Section 475, especially if you don’t have the opportunity to carry back Section 1256 contract trading losses against gains in the prior three tax years. Why not take the chance to lock in a sizeable ordinary business loss? You can revoke Section 475 on Section 1256 contracts in the following year by the tax return due date to get back into lower 60/40 tax treatment on Section 1256 contracts. ETNs are not securities or commodities and are therefore not covered under a Section 475 election. When the VelocityShares Daily Inverse VIX ST ETN (Nasdaq: XIV) significantly dropped in value in early February 2018, during a market correction, many traders incurred substantial trading losses in this and other volatility ETNs. They are dismayed to learn a Section 475 election doesn’t apply to ETNs, and they must use capital loss treatment. ETNs are also not subject to wash sale loss rules for securities. Currently, the IRS labels cryptocurrencies (coin) intangible property — not securities or commodities — so that means it likely doesn’t qualify for Section 475 treatment. Many cryptocurrency traders had massive capital gains in 2017, and some of them suffered substantial trading losses in Q1 2018. They would like to use Section 475 ordinary loss treatment for 2018. Don’t assume you can deduct trading losses. 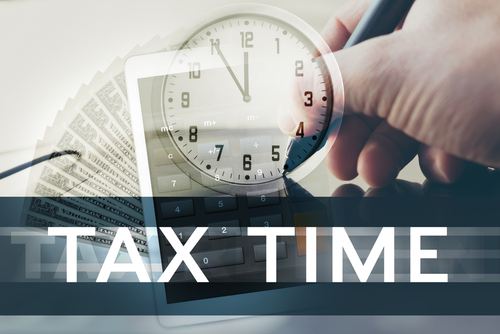 Unless you are eligible for trader tax status, make a timely Section 475 election, and can use it on the financial products you trade, you might get no immediate tax benefits on capital losses. In 2018, there’s an excellent reason for profitable traders to elect Section 475; the 20% pass-through deduction on qualified business income, which likely includes 475 ordinary income. This blog post is a modified excerpt from Green’s 2018 Trader Tax Guide. The guide contains information on the Section 475 election procedures, Form 3115, Section 481(a) adjustments, revocation elections, examples for decision-making, and more. There is no room for making errors with a Section 475 election. This entry was posted in Section 475 MTM on February 27, 2018 by Robert Green.